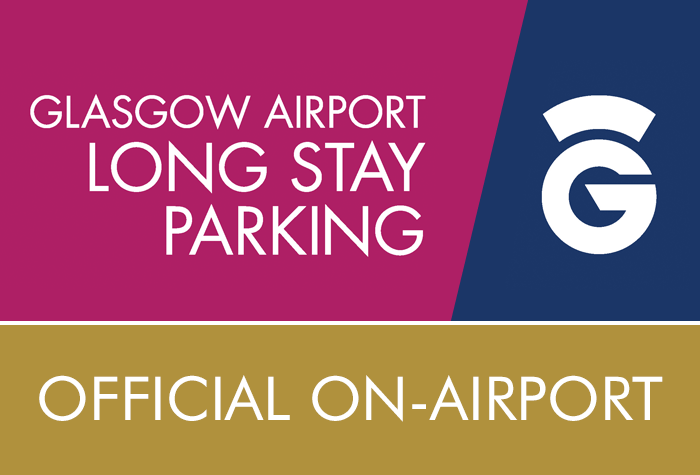 Long Stay Parking Glasgow Airport | Superb Savings! Let's park at Glasgow Long Stay. 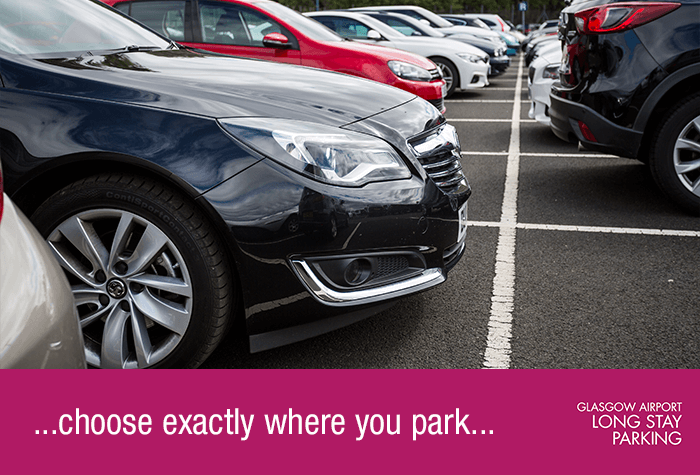 At just two to five minutes from the terminal, this car park is our nearest one to check-in. 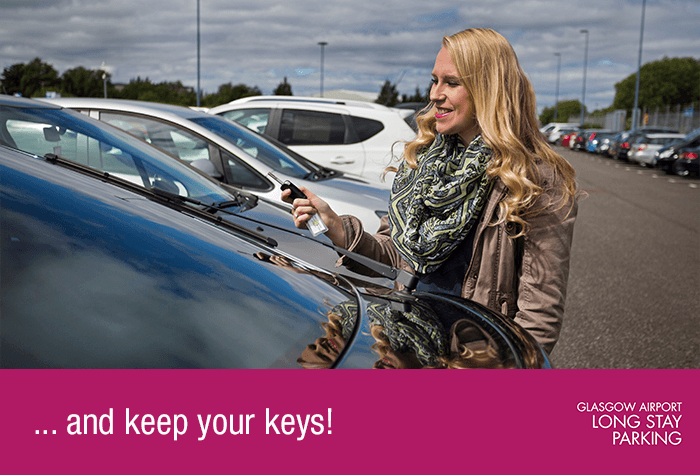 They'll certainly be keeping a close eye on your car too, with 24-hour CCTV and 24-hour patrols. And if you think all this comes with a hefty price tag, think again - it's closer than you ever can imagine to zero. Everything went very smooth, excellent service. Another smooth and trouble free experience from booking the parking through the website to the parking itself, we use holiday extra for every trip away and will continue to do so. Booking is easy and straightforward and a very good service is provided. Bus driver skipped our stop when trying to get to the airport and we had to wait another 15 minutes with two small children. The bus driver that did pick us up was miserable. Returning to the car park at 00:30 we had to wait 15 minutes for the bus to arrive. Others (Flying Scot for example) had two buses in the same time. The instructions also say you need to take your ticket to the customer service station for validation - this is incorrect. 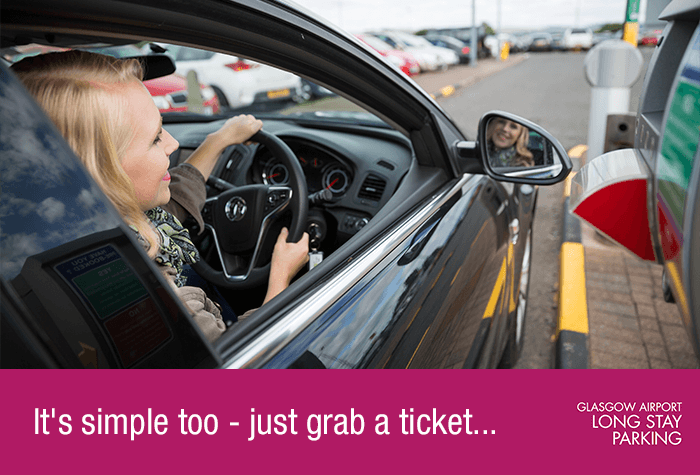 If the ticket is printed with your registration you can go straight to the barrier. Our customers rated Long Stay on average 9/10 (2740 reviews). Officially our most popular car park, Long Stay is simple and speedy, right on the airport grounds. 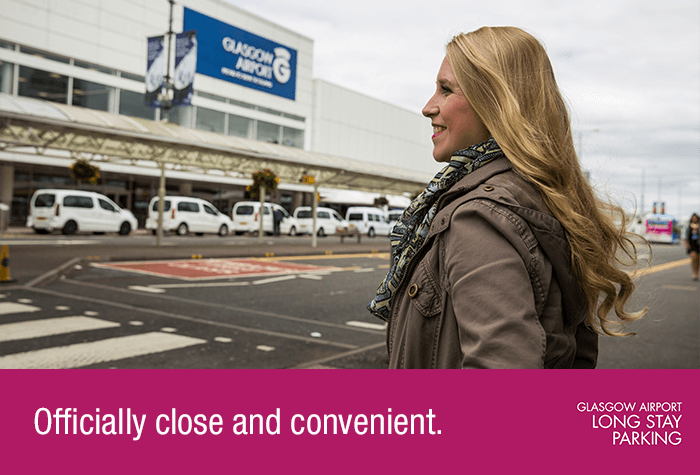 Long Stay is all about simplicity - that might be the reason it's our customers' favourite car park at Glasgow airport. 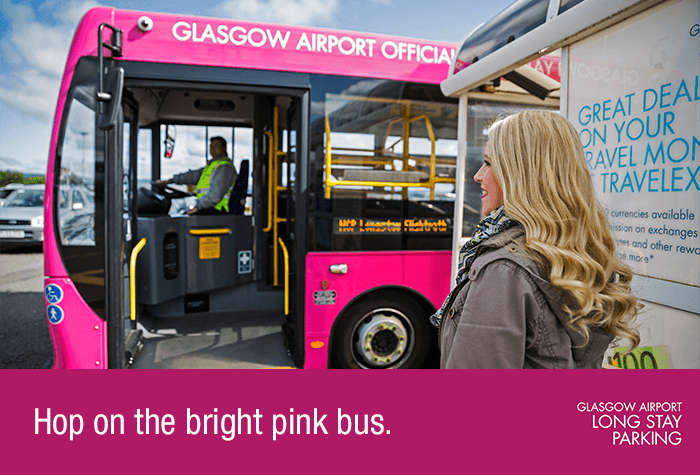 It's as simple as: your registration being automatically recognised, choosing where you park, keeping your keys and hopping on the bright orange transfer bus to the terminal. It takes just 5 minutes. If that's not enough, you're parking on the airport grounds, in an official Glasgow airport car park, so you can leave with peace of mind. 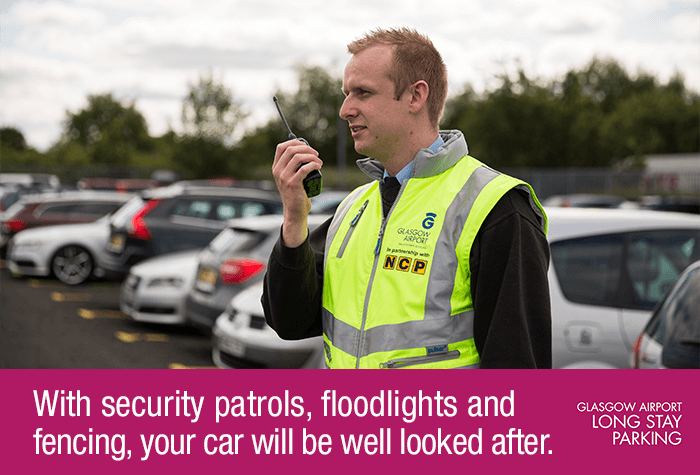 There are plenty of security features too, including CCTV, security patrols, floodlights and fencing. 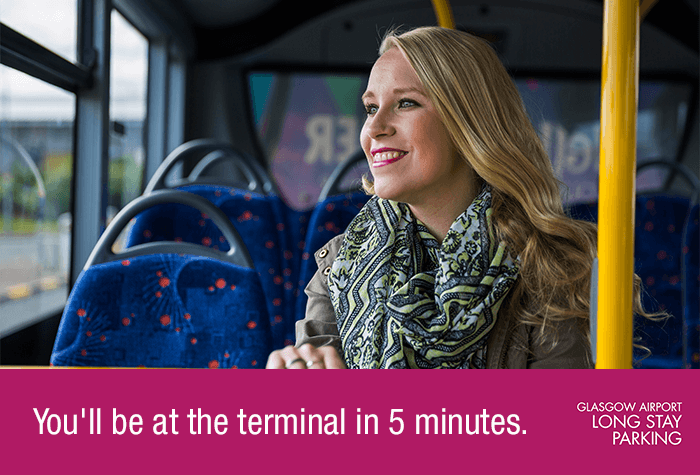 Hop on one of the fast and frequent transfer buses - they come at least once every ten minutes and whisk you to the terminal in about three minutes.